When it comes to heel pain, if you weigh more you probably hurt more. In a small study of patients with plantar fasciitis, researchers found obesity was the only factor that predicted whether heel pain led to disability. If you have foot pain, you are probably wondering what caused it and how soon it will go away. Most cases of plantar fasciitis clear up with a few weeks of light activity and pain relief, but for some people they become a long-lasting problem that keeps them from walking any distance. 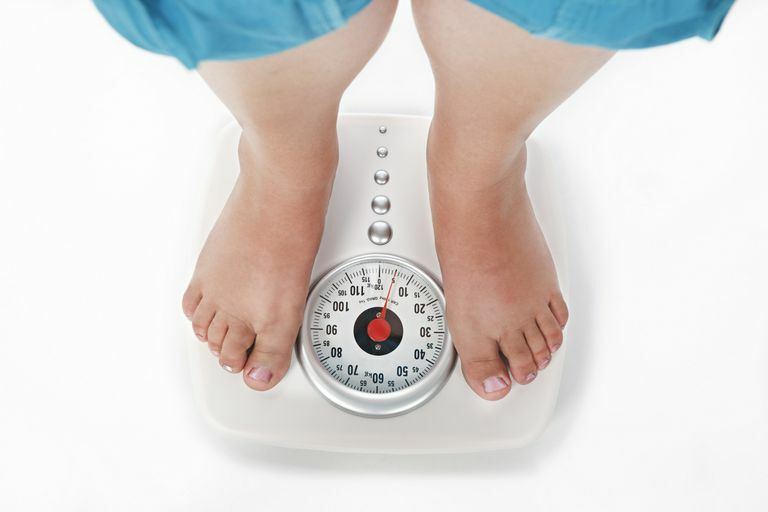 Further studies found a strong association between being overweight and having foot pain or chronic plantar pain. The researchers looked at pain intensity, ankle dorsiflexion (ability to bend), age, gender, whether the condition was chronic, and time spent weight-bearing. Those factors didn't change the rate of disability due to heel pain. The more overweight a person was, the higher their level of disability was according to study author Daniel L. Riddle, Ph.D., P.T., as reported in a press release. A review of twenty-five different studies looked for stronger evidence that being overweight was associated with foot disorders. The researchers of this systematic review found strong evidence that overweight people were more likely to have non-specific foot pain. For people who were non-athletic, being overweight was strongly associated with having chronic plantar heel pain. They couldn't reach a conclusion as to whether being overweight led to a higher incidence of hallux valgus bunion deformation, tendonitis, osteoarthritis or flat foot condition. Will Losing Weight Help Your Heel Pain? The systematic review found only two studies that aimed to see if foot pain was reduced after weight loss. They followed people before and after weight loss surgery and there was improvement reported. But the jury is still out as to whether this will be true for a significant number of people. More studies are needed before they can state that conclusively. Sadly, heel pain is often reported as a reason people have trouble losing weight. It's hard to do many forms of aerobic exercise when your feet hurt. There are alternatives, such as swimming and cycling. But keep in mind the biggest component of weight loss is eating fewer calories. If you have plantar fasciitis heel pain, you aren't one in a million, you are one of a million a year who seek treatment for it each year in the USA. Most sufferers visit their primary care physician for treatment, while one third see an orthopedic medicine specialist, according to a study published in 2004. Heel pain and plantar fasciitis produce a steady stream of business for orthopedic surgeons, making up one percent of all of their visits. The study said that the most common treatment was pain relievers, followed by treatments including exercise regimens, education and physical therapy. If you are worried that seeing the doctor about your heel pain will result in surgery, the good news is that usually you will be give conservative treatments. But it is important to make that visit to rule out other conditions and to address the problem before it becomes chronic. Take care of it now and maybe you'll be able to be back on the treadmill and trail without pain. What is Plantar Fasciitis and How Can You Treat Yourself? Find out more about what that pain in your foot might be and what is usually recommended for treatment. Heel Pain Relief and Self-Treatment Items: If you have heel pain and you've consulted your doctor to rule out any other problems, these items may help relieve the pain. Butterworth PA, Landorf KB, Smith SE, Menz HB. "The association between body mass index and musculoskeletal foot disorders: a systematic review." Obes Rev. 2012 Jul;13(7):630-42. doi: 10.1111/j.1467-789X.2012.00996.x. Epub 2012 Apr 13. Riddle DL, Schappert SM. "Volume of ambulatory care visits and patterns of care for patients diagnosed with plantar fasciitis: a national study of medical doctors." Foot Ankle Int. 2004 May;25(5):303-10. Press Release: Heel Pain a Huge Problem in the United States. American Orthopaedic Foot & Ankle Society. June 2, 2004.